Roman blinds are a stunning addition to any room. From modern bright fabrics to pretty prints through to classic styles and a refined palette. Roman blinds provide privacy, warmth and choice. Be inspired We have over 500 inspiring fabrics in our collection. Choose the perfect blind to complement your home from our extensive range of plains, prints, woven fabrics and textures. 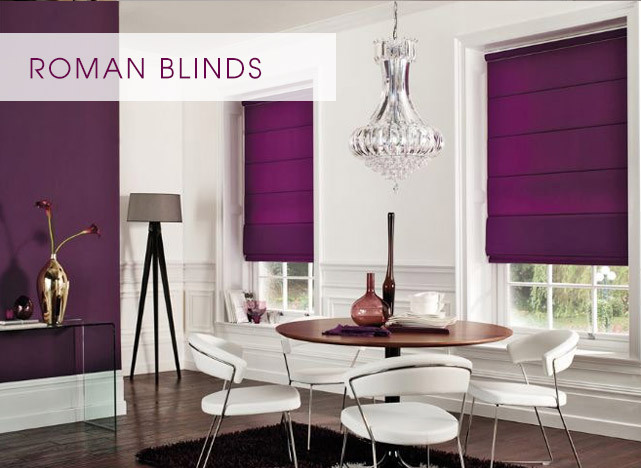 Our roman blind collection is available with either standard cleat or deluxe sidewinder controls. Choose from standard white, chrome, antique or black metal chains and add a perfect finishing touch with a beaded braid. Be impressed All our romans are fully lined as standard and if you're looking for complete light control, our blackout option is second to none. Our fabrics are fully tested for shrinkage and light fastness and can all be dry cleaned, making them practical for every home.